Emerson has introduced the Performance Learning Platform, a portable and compact automation technology training solution that enables hands-on training to prepare workers to maintain their plant safely and efficiently. The platform reinforces the competencies essential to fostering digital transformation and helps close the workforce skills gap as the Industrial Internet of Things (IoT) era continues to change the way manufacturing and process companies do business. Emerson’s collaboration with both private industry and higher education has revealed an urgent need to address the skills gap in digital automation technologies and how it can impact an organization’s operations. According to a 2018 Manufacturing Institute study on “The skills gap and the future of work in manufacturing,” the skills gap may leave an estimated 2.4 million positions unfilled between 2018 and 2028. The Performance Learning Platform can help a new generation of workers become adept at applying, using and maintaining the latest digital automation technologies. It provides process control and instrumentation simulation to train or refresh current workers on how to monitor and control complex operations involving pressure, flow, level and final control valves. The Performance Learning Platform features a complete working control loop piping system, tanks, pumps and a fully scalable suite of Emerson instrumentation and final control valves linked to a DeltaV distributed control system. Each unit ships with an integrated video library that provides step-by-step instruction in a range of realistic scenarios, allowing users to learn and experiment without the expense and risks of on-the-job training. A lab workbook and supporting eLearning courses are also available. 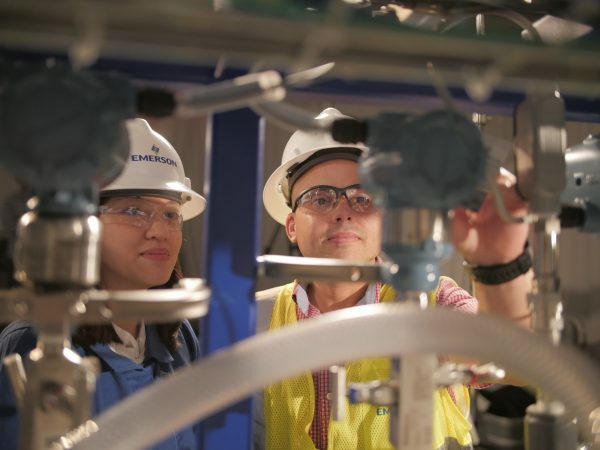 The platform is another offering in Emerson’s portfolio of advanced workforce development offerings, which includes two Interactive Plant Environment training facilities in the United States; certified Emerson instructors; numerous educational courses taught virtually, on-site and in Emerson training centers worldwide; and an Operational Certainty Consulting practice that helps customers meet the demands of a changing workforce.